All hail the Snow Queen! Beast Kingdom's MC-005 Frozen Elsa is based on the appearance of Elsa when she became the Snow Queen in the movie with her confident and resolute demeanor. The sculpt is based off the source materials from Disney to portray the perfect recreation of Elsa's elegance. 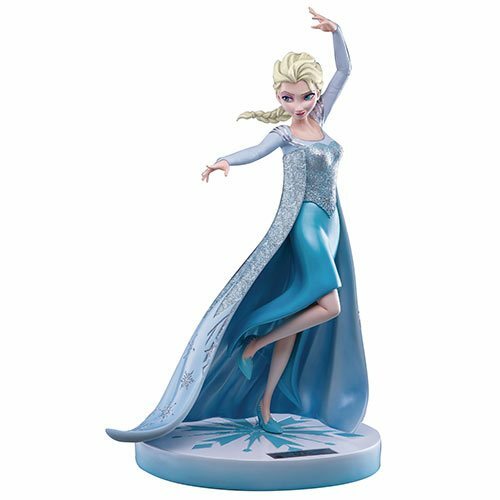 With precise and detailed sculpting, this resin statue faithfully captures the look of confidence and elegant posture of Elsa. As she stands atop of her pearl luster base, Elsa is ready to unleash her powerful cryokinetic magic.